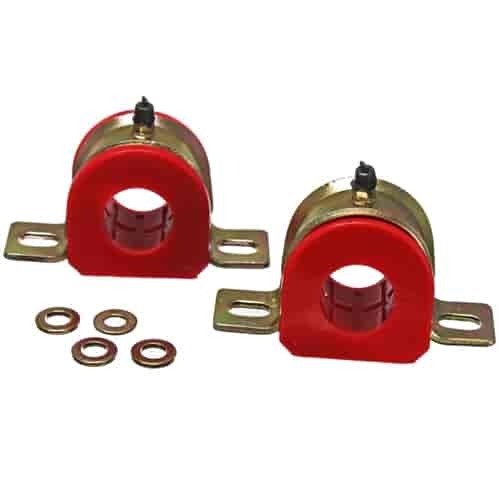 Energy Suspension offers greaseable universal sway bar bushings. These bushings are complete with zerk fittings and a unique channel design that allows grease to migrate to all inner bushing surfaces. This greasable design eliminates binding, even under extreme pressures created by large diameter bars. The bushings are constructed from high performance polyurethane, providing stiffer and longer lasting performance than rubber bushings. The brackets are zinc coated steel. Does Energy Suspension 9-5171R fit your vehicle?